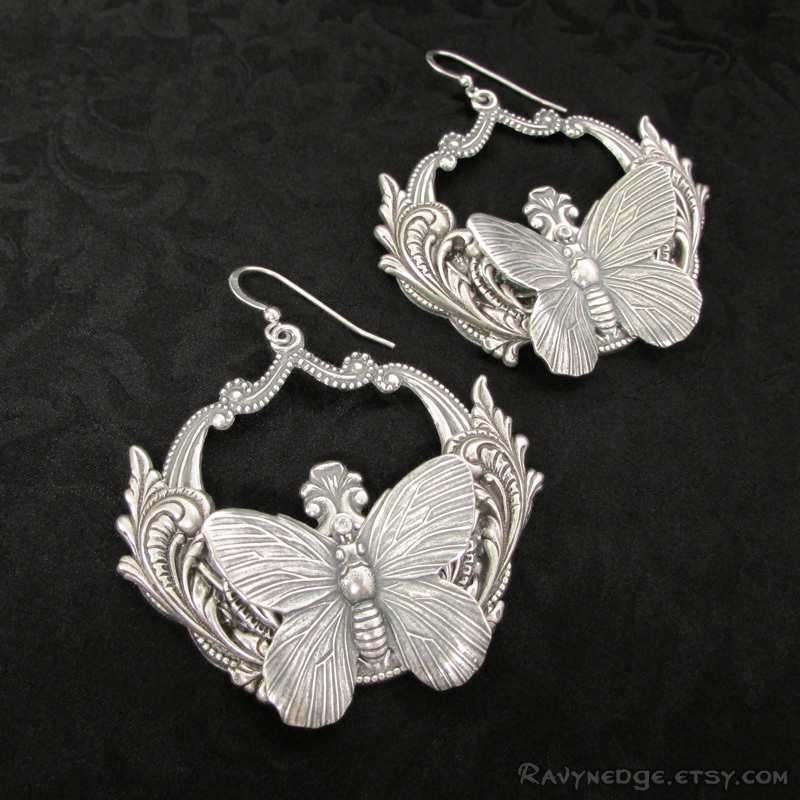 Gypsy Soul Earrings - Silver Butterfly Earrings by RavynEdge. 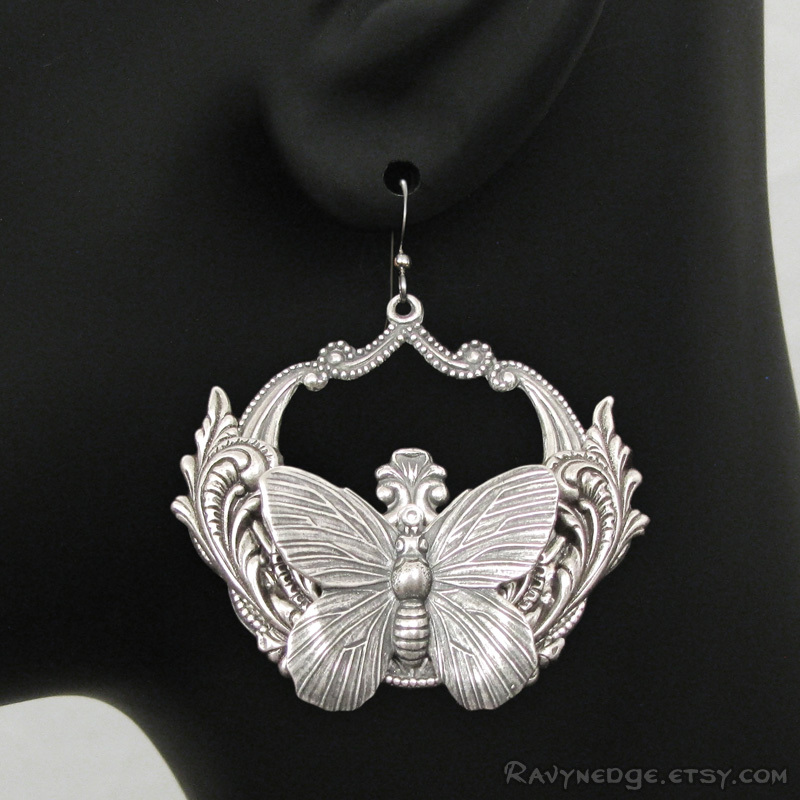 Gypsy Soul is a magnificent pair of dangle earrings that will make a bold and elegant statement. 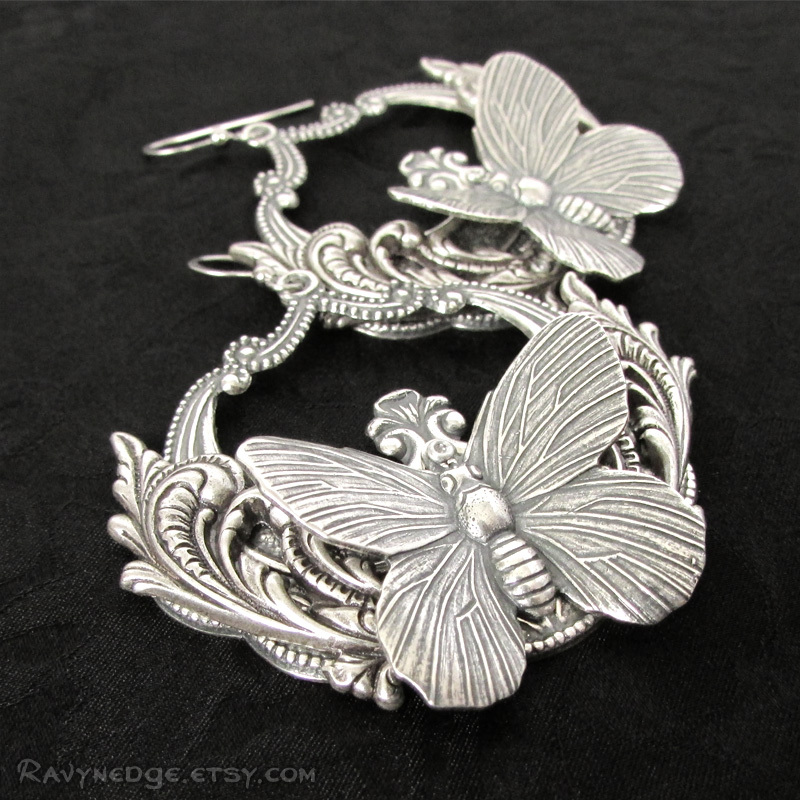 Beautifully detailed butterflies alight on hoops decorated with ornate flourishes. Measures a substantial 2 inches (52mm) wide and 2.3 inches (58mm) from the top of the surgical steel earwire. Includes a pair of 4mm clear hypo-allergenic poly-clutches which slip onto the end of ear wires to prevent loss. 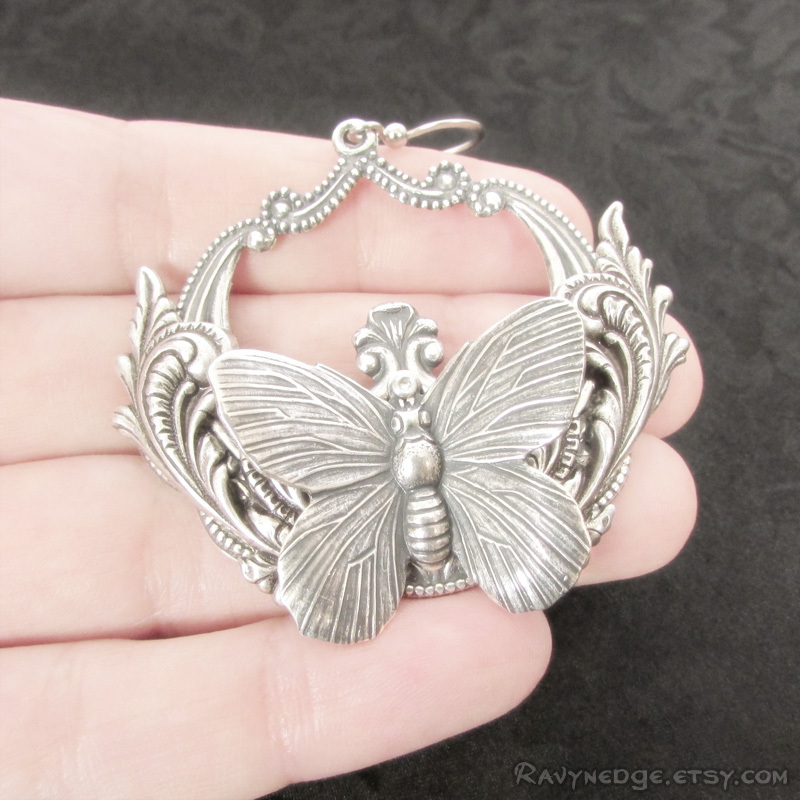 The earrings are made of sterling silver plated brass filigree, oxidized to bring out the incredible details. Nickel free and lead free.